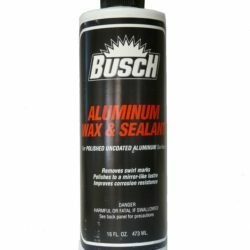 Busch Aluminum Polish (16 oz.) 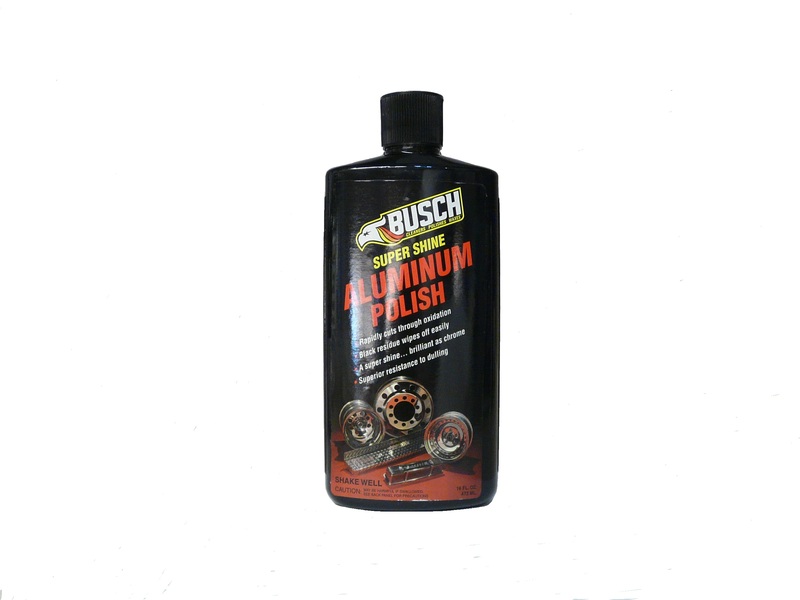 Get a chrome-like shine in no time with Busch’s Polish. 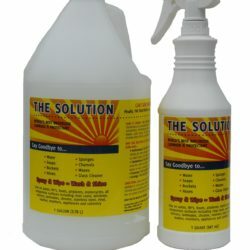 This product is formulated to work beautifully by hand but you can also use with a buffer. It polishes deep into the aluminum, removing oxidation and pitting that most ordinary polishes leave behind. Your aluminum wheels will shine in no time! 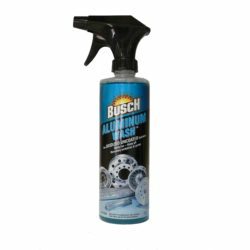 If your aluminum rims are in rough shape – maybe oxidized from the salt or hit with hard water at an RV park – start with Busch’s Aluminum Cleaner to get a head start and save some time rubbing out the oxidation and hard water spots.